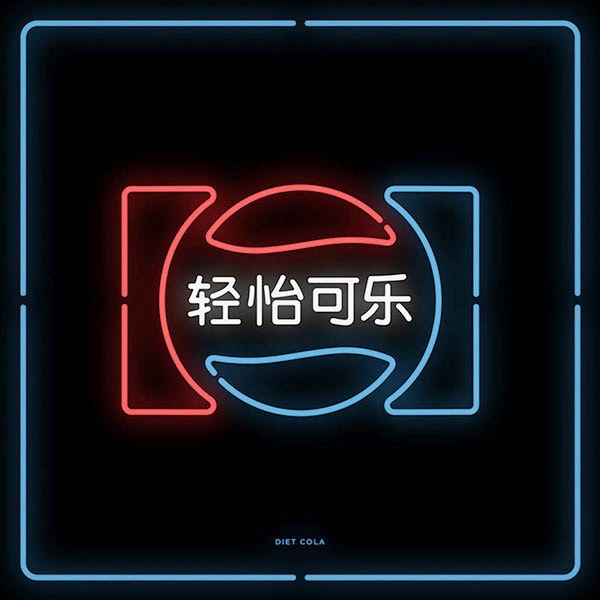 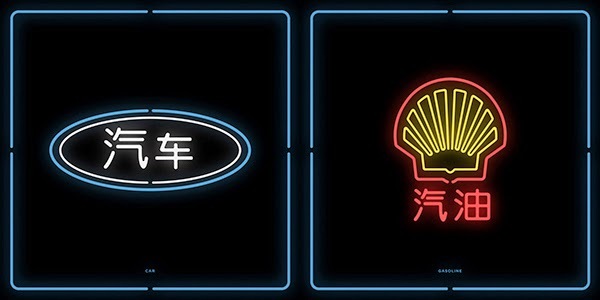 A series of Chinese translations of twenty well-known western brand logos using the classical neon sign format that Mehmet associates with China. 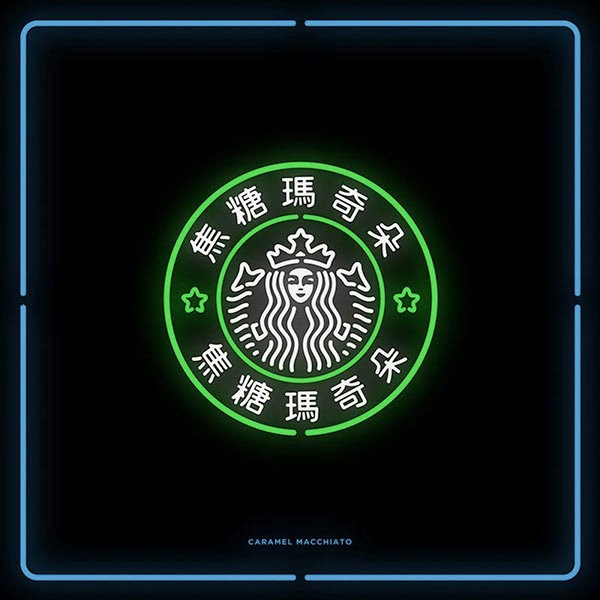 Mehmet uses basic words for translation such as caramel macchiato for Starbucks and hamburger for Burger King in order to maintain a visual and narrative continuity. 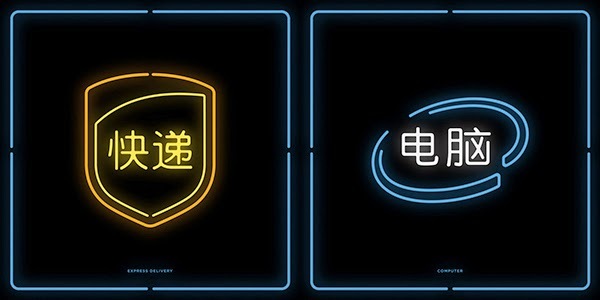 With China's economy now the biggest in the world, Gözetlik believes that to approach the market, there is a balancing act that global brands in China must achieve to be both successful worldwide but also show commitment and desire to be part of the local culture. 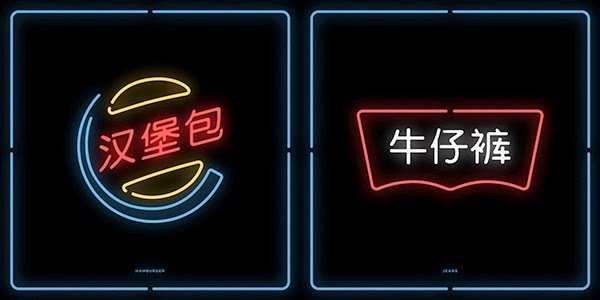 By arranging the words this way, the Chinatown works push viewers to ask themselves what it means to see, hear, and become fully aware, not only of a brand, but of how we interpret visual messages. 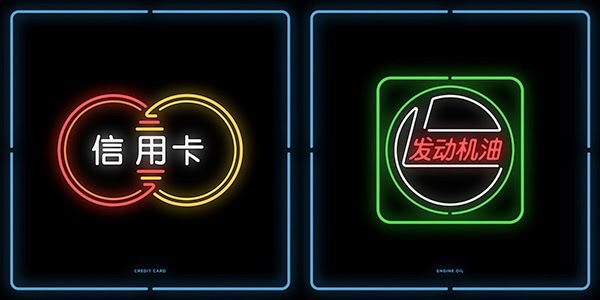 Each of Gözetlik’s logos has been created in neon spot colours. 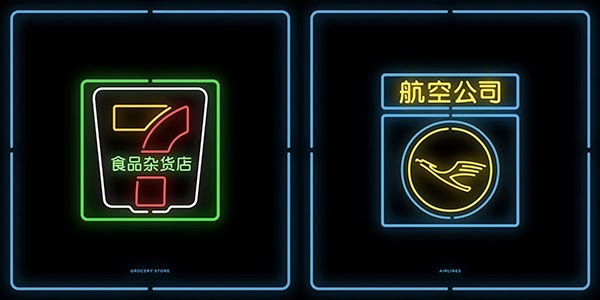 Although neon lights are not used as a medium – the works are presented as photographs – they seek to represent a cultural symbol and what can be seen as the aesthetic codes of China. 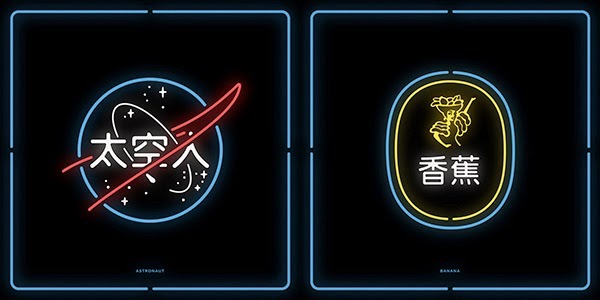 Mehmet Gozetlik is a designer based in Istanbul and co-founder of Antrepo.